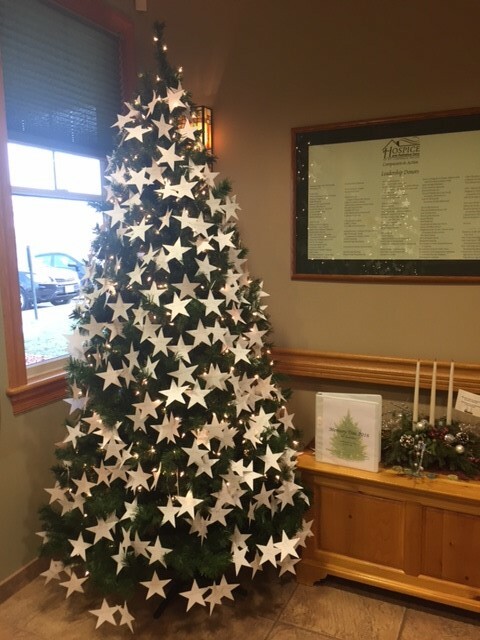 More than 600 stars were hung on our trees during Hospice’s 2018 Memory Tree event. This loving remembrance provided more than $12,000 to support the services we provide across St. Lawrence County. Thank you to the many community members, both near and far, who supported Hospice by remembering their loved ones on our Memory Trees.